SHELBURNE, NS – Boxing Rock Brewing has announced that the 6th annual edition of a winter seasonal favourite is now available for pre-order in advance of its release later this month. A Russian Imperial Stout with Coffee and Vanilla. Dried dark fruits, chocolate, and mocha all make an appearance in the aroma of this beer. Take a sip and enjoy flavours of vanilla, espresso and rich malt character. 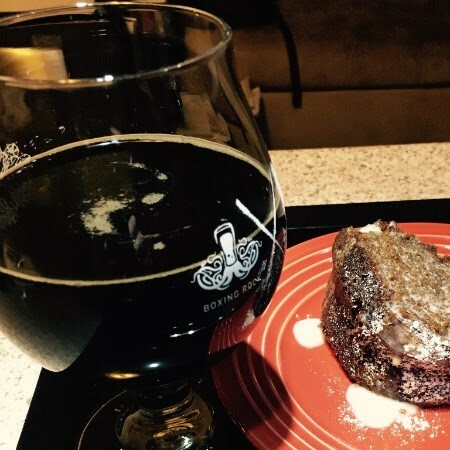 Smooth, dark and rich, this beer is incredible paired with chocolate desserts of all kinds. The 2018 vintage of U-889 will be released on November 30th, but can be pre-ordered now at a discounted price, with six 650 ml bottles available for $55 (regular $63), and 12 bottles for $100 (regular $126). Orders can be picked up at the original Boxing Rock location in Shelburne, or the recently opened off-shoot on Charles Street in Halifax. For more details, see the ordering page on the Boxing Rock website.